BrayVet is a friendly veterinary practice where pets are recognised as members of the family. We pride ourselves on providing the highest quality healthcare for your pet in a relaxed atmosphere where you will feel quite comfortable discussing the needs of your companion. NEWSFLASH: OUR NEW CLINIC OPENED IN GOREY IN 2017 – TO FIND OUT MORE ABOUT WHAT’S HAPPENING, SEE HERE. For a virtual tour of our clinic including the hospital areas, click and move your mouse over the above image. 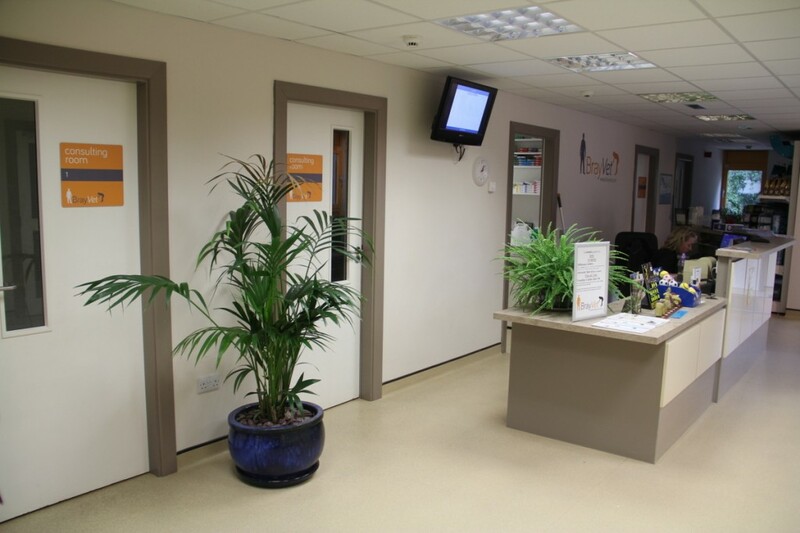 We are a modern companion animal veterinary clinic, with fully equipped operating theatres, diagnostic imaging facilities (including digital X-rays), in-house laboratory, endoscope, ECG and in-patient wards. We have dedicated one wing of our clinic to cats-only: you can see the cats-only waiting room by clicking here. 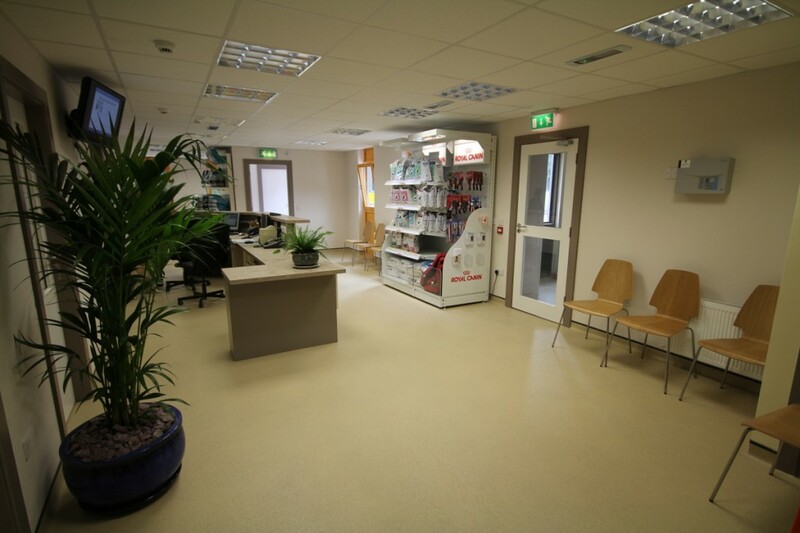 We are based in a state-of-the-art veterinary hospital, constructed in 2013: to find out more, call in to us at Old Connaught Ave, Bray, and see for yourself. We are based on the north side of Bray, close to Shankill, within 10 minutes drive of Enniskerry, Kilternan, Kilmacanogue, Rathmichael, Loughlinstown and Sandyford, and just 20 minutes from Greystones. We are just off the M50, so we are only fifteen minutes away from Tallaght and the western approach to Dublin. An ultrasonographer holds a weekly clinic, again by appointment only, and is happy to see cases referred from other veterinary clinics as well as helping BrayVet clients. BrayVet is a very busy place these days, as a result we ask that, you phone us in advance and make an appointment. This allows us to give you and your pet our undivided attention and saves you having to wait around for long periods. If you wish to see a specific veterinary surgeon, you should mention this to the receptionist when making the appointment. Emergencies will be seen at once. Do you have any questions? Do you want to talk to us? Do you want to know what we’re up to today? Click here to become a Fan of BrayVet on Facebook or click here to follow us on Twitter.